This article is intended to give the reader an overview of the fauna of Tuscany. In the lower part is a small list of dangerous and poisonous animals of Tuscany. In Tuscany you can find some species of poisonous snakes, spiders and scorpions. In addition, many wolves live in the middle of Italy again. Brown bears and other bears do not exist in Tuscany to our knowledge. The following is an overview of important and interesting mammals in Tuscany. The list is not complete. There are considerably more mammal species in this region of Italy, especially smaller species like rodents like mice. Since many areas of Tuscany are used for agriculture today, there are considerably fewer large forests. Due to a lack of forest, among other things, many animals are rather rare in Tuscany’s natural environment today. 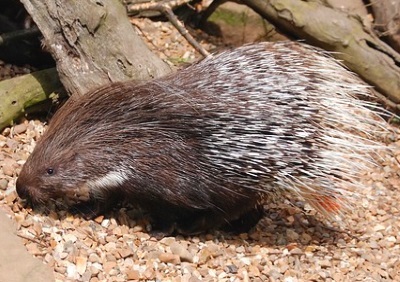 Porcupines: This is one of the species living in Tuscany. Originally there were no porcupines in Italy, but they were introduced more than 2,000 years ago, probably by the Romans. In many regions of Italy – like in Tuscany, around Rome and on Sicily – porcupines live today. Worldwide there are 11 porcupine species, the species in Italy is the „common porcupine“. It rarely weighs more than 20 kg. The porcupine is not a pig, but a rodent. Wolves: The number of wolves in Tuscany has risen sharply in recent years. Some statistics speak at present (at the beginning of 2018) even of more than 100 wolf packs with several hundred animals. The shy wolves almost never attack humans, we have never heard of a serious incident. Large predators are important for the ecosystem. Therefore, from the point of view of nature and nature conservation, the spread of wolves is very welcome. The wolves are protested against in Tuscany, as in Germany, above all by farmers and shepherds. Many wolves kill farm animals like sheep at night. But you can protect the livestock with electric fences, big dogs and the like. Our tip: It is better to buy important tickets for Florence and Pisa before your trip. Wild boars: Similar to other countries, there is also an increasing number of wild boars in Italy. 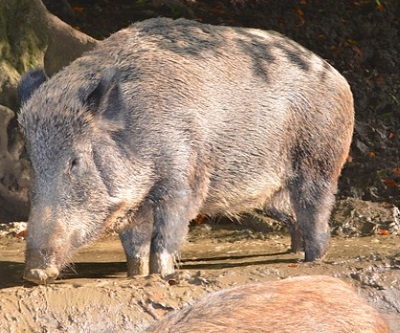 Wild pigs are common in Tuscany, but are rarely seen on migrations. Horses and cattle: The southern coast of Tuscany (Maremma region) is known for its semi-wild horses (Maremmano breed) and cattle (Maremma breed). Many tourists come to ride in the Maremma. Close to the island of Elba is a famous whale area. In the Mediterranean Sea in front of Tuscany there are fin whales, pilot whales, sperm whales and various dolphins like bottlenose dolphins or roundhead dolphins. Several companies in Tuscany offer tours for whale watching or dolphin watching. Other typical larger mammals in central Italy include hares, deer, stags, mouflons, badgers, martens, dormice, foxes and many more. The fauna of Tuscany is considered species-rich. 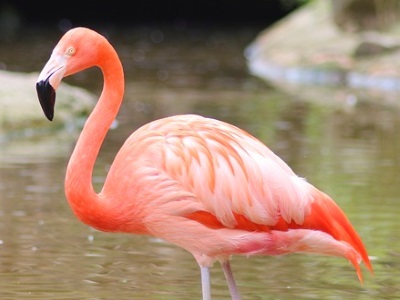 The flamingo is known on the coasts of Tuscany. You can observe these beautiful birds for example in the south at Orbetello. Some types of migratory birds that do not fly too far from northern Europe or central Europe to the south spend the winter in Tuscany. One of these is the extremely rare Northern bald ibis, which is currently being extensively reintroduced in Europe. 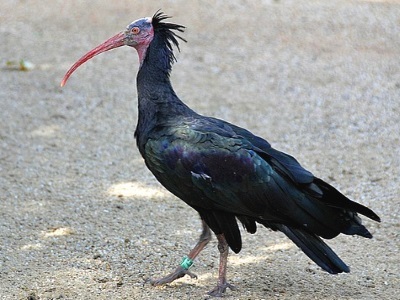 Unfortunately in Italy a Northern bald ibis is shot again and again for poachers. Among the great birds of Tuscany’s fauna, the sight of which is particularly pleasing to hikers and other tourists, are storks, golden eagles, bearded vultures, pheasants, herons and cormorants. There are more than 100 bird species in Tuscany that nest in the region. In addition, there are many species of migratory birds in winter. Other bird species pass through Central Europe and Africa in autumn and spring. Some small islands in the Mediterranean Sea off Tuscany are retreats for rare birds. In rural Tuscany you can meet people with large cameras and the hobby of birdwatching. The island of Elba is known for its butterfly trail. About 50 different butterflies live here. Almost all butterfly species on the island of Elba are described on information boards along the trail. The 2 km long trail is on the Monte Perone mountain near a car park for hikers. A great attraction for hikers and nature lovers. Some butterflies on Elba are very rare and / or endemic, so they can only be found on the small island or in Tuscany. Among the lizards of Tuscany, the colorful and large emerald lizard is very popular with holidaymakers. This lizard species can grow to over 30 cm in length (with tail) and is usually green. Parts of the head can be light blue. Many vacationers think that the giant lizards are colorful like canaries. Attacks by wolves on humans are not known to us in Tuscany. Wolves usually avoid humans. Other dangerous animals in Tuscany may be wild boars. But here, too, attacks on hikers and other people are rare. But you should always avoid the pigs. Most wild animals run away from humans. At the Mediterranean Sea tourists have often had very unpleasant experiences with some dangerous animals. There are for example poisonous fish, known is the weever with poison spine, as well as jellyfish. Important: This article was translated by a non-native English speaking person. We apologize for mistakes.